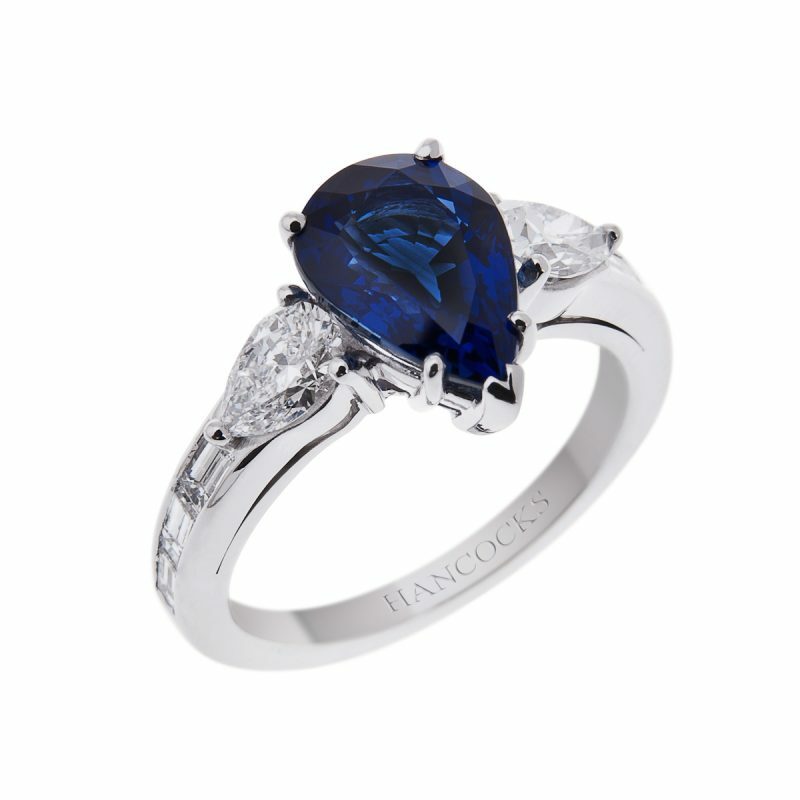 An impressive oval sapphire mounted in platinum with a surround of diamonds. 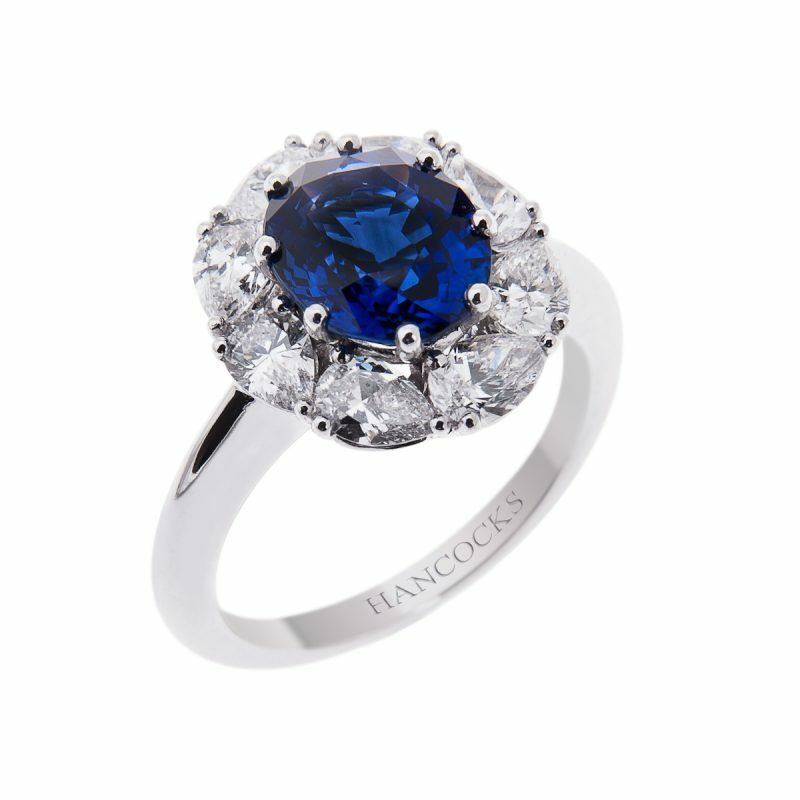 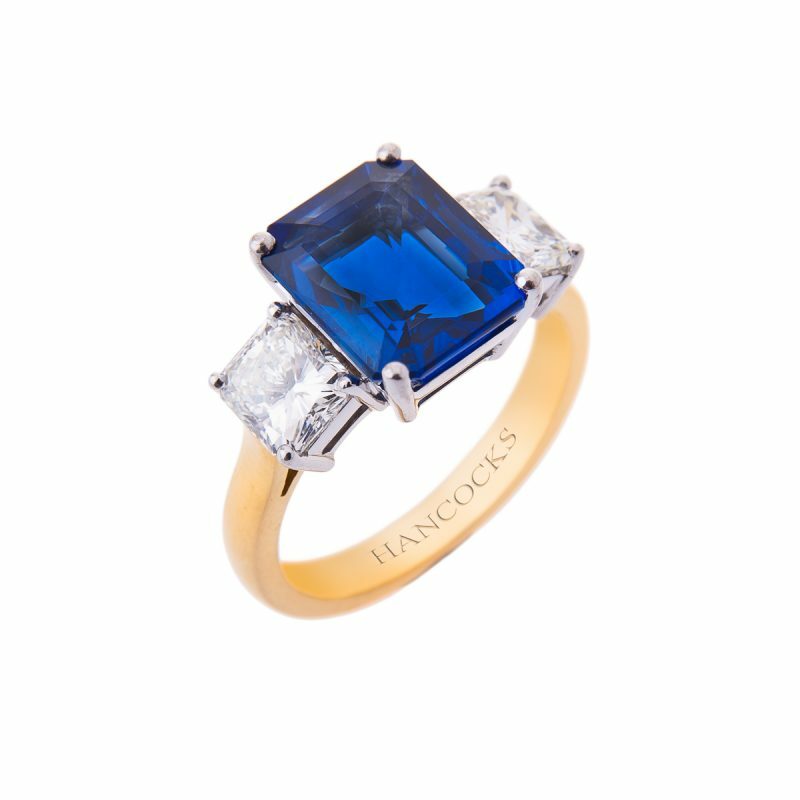 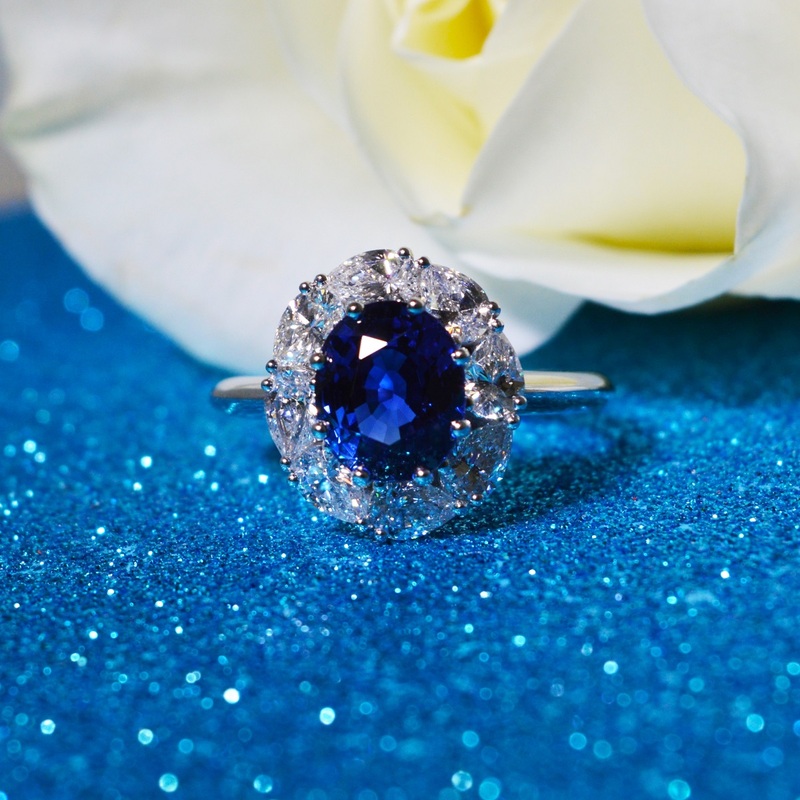 Cornflower blue is the term often used to describe the finest stones, the rich velvety blue of this sapphire is contrasted by the brilliance from the carefully place pear cut diamonds that surround it, accentuating its graceful shape. 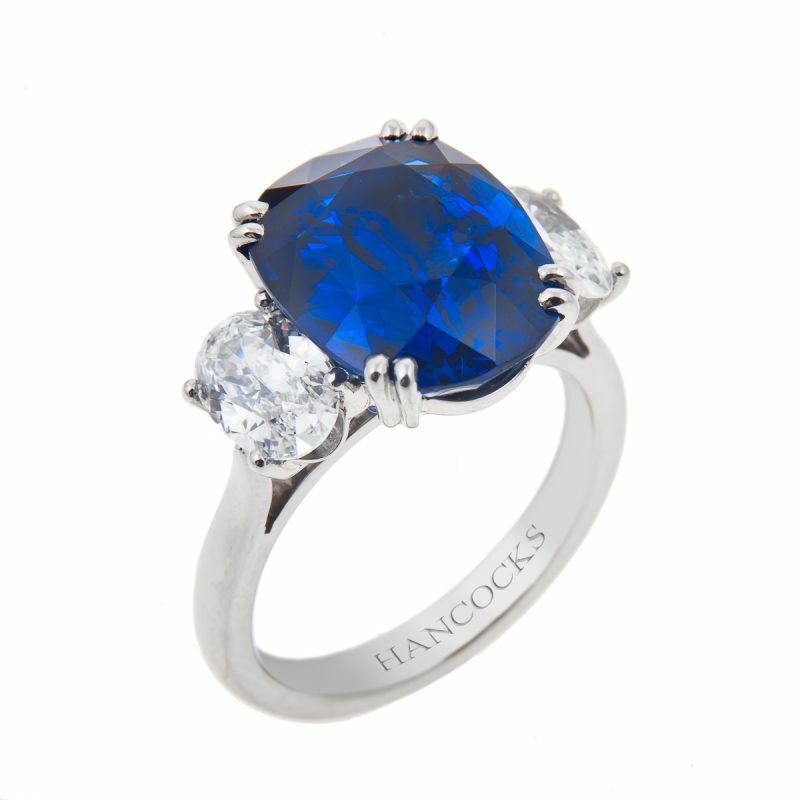 This stunning one-off ring is a true heirloom of the future.